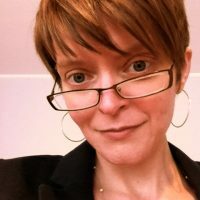 Beth A. Robertson is a gender and sexuality historian of science, medicine and technologies of the marginal or the marginalized. Her teaching and research interests encompass the history of the body and the senses, queer theory, visual and material culture, transnationalism and disabilities. Her book, Science of the Séance: Transnational Networks and Gendered Bodies in the Study of Psychic Phenomena, 1918-1940 was released by UBC Press in the fall of 2016. She is book review editor of Scientia Canadensis and winner of the 2017 History Fellowship of the Association of Computer Machinery. This fellowship has funded the early research of her new project dedicated to the development of assistive and adaptive technologies by and for people with disabilities in Cold War Canada.